As parents and a congregation, we promise at each child’s baptism that we will put God’s Word in his or her hands. In worship we give every child (from age 3-grade 2) a Spark Story Bible which contains all 150 stories taught in their Spark curriculum. Older children (grades 2-5) receive a New Living Translation Version (NLT) Bible. 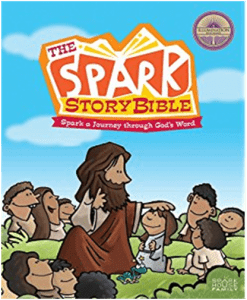 The Spark StoryBible is given to 3-year-olds and new students age 4-grade 1 in October of each year. All 2nd graders receive the Hands-on Bible in the spring of the year. Why are Spark Bibles presented for 3-year-olds in the fall? Our Saviour’s wants to get Bibles in their hands right away! One of the great things about the Spark Story Bible, is that it is age appropriate for preschoolers and early elementary (really great for early readers). Why is the 2nd Grade Bible different this year and presented at a different time. Bibles in the past were the NRSV translation. This is an excellent translation, but is written at a much higher reading level. The language in the NLT is at a younger reading level, more readable and more modern. The NLT translation avoids some of the difficult phrases and words. This particular NLT Bible was selected for it’s engaging activities. The Hands-On Bible uses the same experience-based learning to communicate God’s Word in an active, understandable way. This new edition features updated tip-ins, a more portable size for kids, an attractive cover, and online parenting helps. Why are Bibles now presented to 2nd graders in the spring? Reading level; even with the change to an easier to read translation it is still at a higher reading level. Presenting Bibles in the spring allows 2nd graders to have that much more learning under their belt. We will teach your reader how to use their Bible at the Spring Bible Class and work with them in class. Then we will provide summer reading opportunities for them to work on their skills and encourage them to make their Bible their own! My older child was presented a Spark NRSV Bible, will church provide a new one? No. The NRSV translation is still a very good translation. The NRSV Bible will still be the Bible used in classrooms. Does it matter that there will be more than one translation of the Bible in a classroom? Not at all, having multiple translations helps with comprehension and enhances conversation. We have a NRSV translation at home. Would it be possible to purchase a NLT Bible? Absolutely! Here is the Amazon Link to the Hands On Bible. 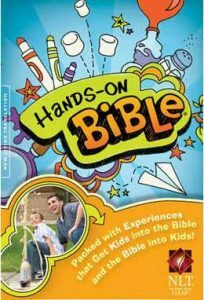 Can my kid use the Hands on Bible in Confirmation? Absolutely! It is a great Bible that will be with them through Confirmation. My Child lost their Bible, will church replace their Bible? 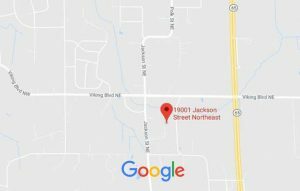 Unfortunately the church is not able to replace lost Bibles. Please put your child’s name on their Bible along with the date it was presented or child’s DOB. This allows us to find the home of lost Bibles. If your child has lost their Bible and it appears to have disappeared, please use the Amazon link above to purchase a new Bible. Should my child bring their Spark Bible to Sunday School/Ignite Wednesdays? Yes! All children should bring their Bible to class. This helps make the Bible their own. It also helps with learning. Talk to Kate Roettger. If Kate can’t answer them, she will find someone who can!